I doing experimentation for peptide prediction using machine learning. I need some data for testing. I already have one dataset, but I need another one or two for verification. I'm looking for one a data for proteotypic peptide and non-proteotypic peptide. 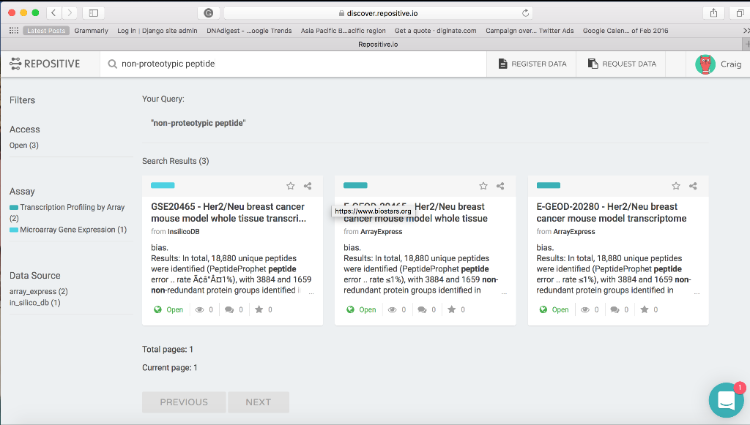 Hi, I did a quick search on our human genomic data platform repositive.io and found 3 datasets returned on a search for "non-proteotypic peptide" and "proteotypic peptide"